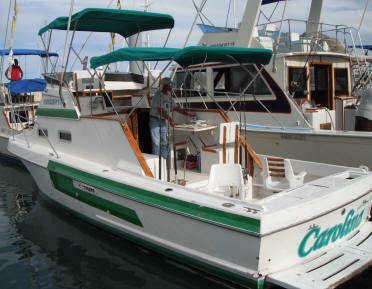 Fiesta Sportfishing - 28 ft Sportcruiser "Carolina"
﻿Cabo's best 28'. Newer California, equipped with Penn Intl. 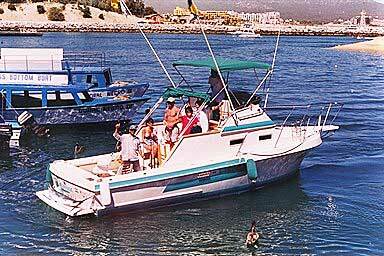 Gear, outriggers, bilevel flybridge seating, shade, restroom, live bait tank, electronics, two fighting chairs, VHF, new technology Yanmar turbo diesel engine is fast & quiet, this boat will get you to the fish fast without spooking them! 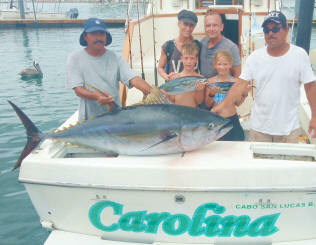 Captain "Martin" is one of Cabo's top Billfish release Captains! 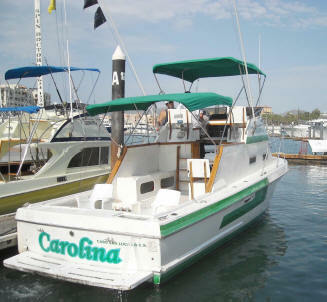 This is one of our most popular boats so book early for a chance to fish on the "Carolina" with Captain "Martin". 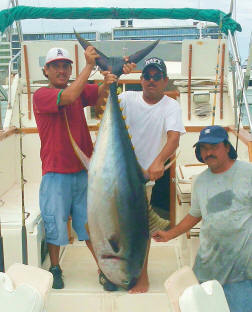 ​Why not add the extras - food, drinks, bait, & license so you don't have to worry about anything but just getting on the boat!